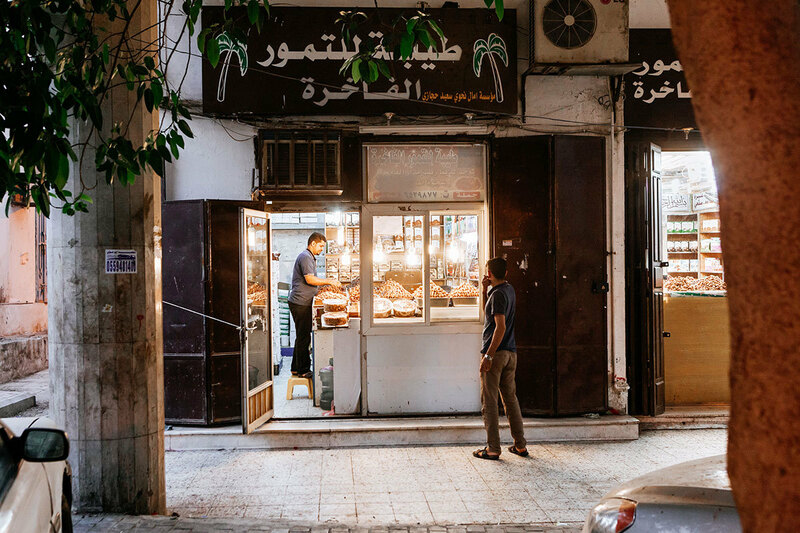 Dates, once an essential lifeline for people in the Arabian Peninsula, remain a much-loved culinary treasure. The fruit yielded by the date palm, sweet and chunky, grows several metres above the ground, under a green canopy. It’s seemingly out of reach, but the tree itself provides a way to the top: through grabbing and stepping on its fronds. Mohammad Hassan Abdullah, in Najran in southern Saudi Arabia, has climbed palm trees countless times. Dressed in a cotton shirt and slippers, with a scarf tied around his head, he quickly grabs one frond with his left hand, another with his right. He has a rope tied around his upper body, and a bent metal knife in his hand. Within less than a minute, he has reached the top of the tree. Underneath the palm, in the shade of its large leaves, stand three children. They are the sons and nephew of Nasr Khadaish, the owner of the palm tree and the land where it grows. He stands to the side, next to a green, open field. The children walk barefoot on a large blue tarpaulin spread out on the ground. Suddenly, dates start raining from the sky and, with loud thuds, land on the plastic sheet. An entire bunch follows, then another – yellowy green, loaded with ripe dates. The kids hurry to grab the bunches and start removing the dates that have not fallen off by themselves. 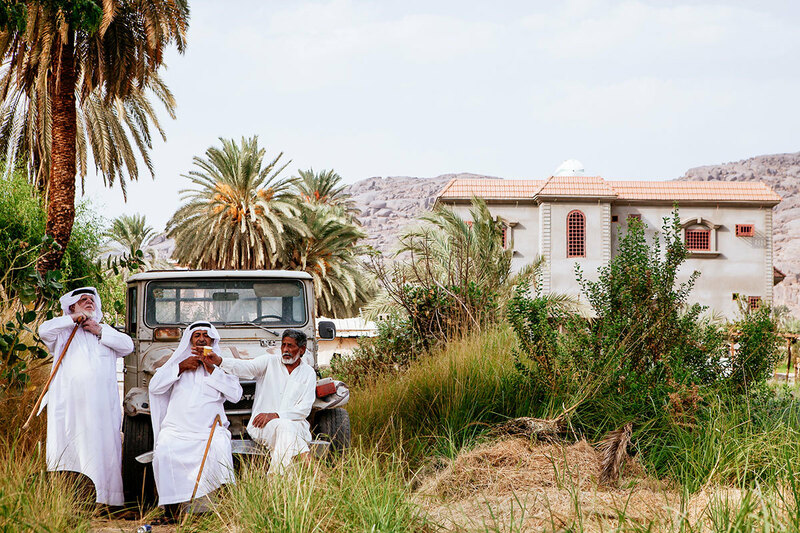 Since as far back as anyone can remember, this is how dates have been harvested across Saudi Arabia – by hand, as a collaborative effort. Khadaish’s dates have now reached the fourth stage of ripeness, called tamr. Fully ripened and dry, they can be eaten or stored for months or years. The fruit goes through three other stages before that, all known by their Arabic names. First is kimri, when dates are hard and unripe. Then follows khlal, when they are large and crisp but not yet edible. The third phase, rutab, is according to some the very best – the dates crispy and fresh, and only slightly sweet. 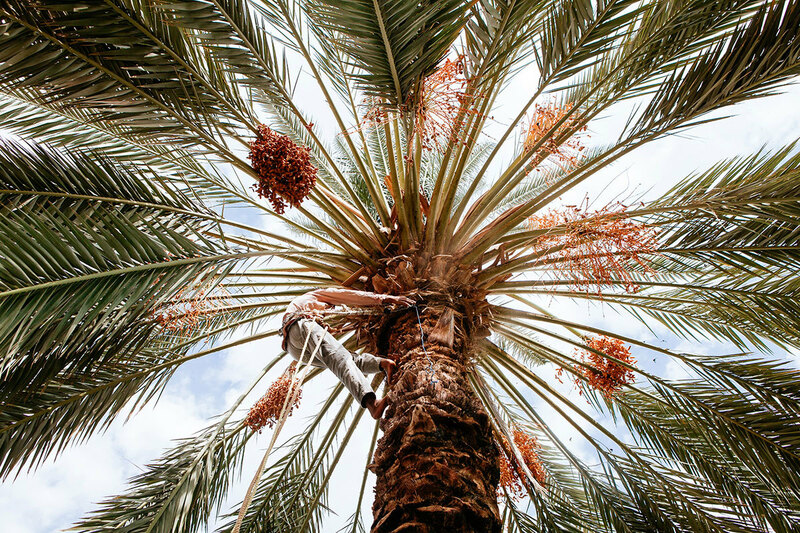 In Saudi Arabia, the date palm is more than a tree. It is a national symbol, featured on several bills and on the national emblem, alongside two crossed swords. And most importantly, it is part of the living heritage. ‘When we led a Bedouin way of life, dates meant survival. The kind we have here in Najran is hard and dry,’ says Khadaish. But the most cherished dates in Saudi Arabia are not from Najran. They come from oases like Medina, where the small and delicate ajwa date, mentioned in the Quran as coming from paradise, grows. 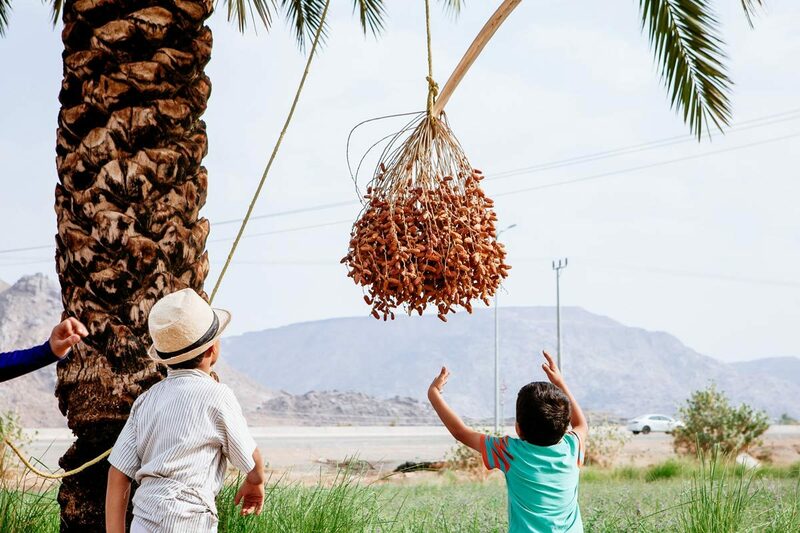 Al Qassim, a few hours north of the capital Riyadh, is known for its sweet and pale brown sukkary dates. There is also Al Ahsa, said to be the world’s largest oasis, near the eastern coast of Saudi Arabia. Surrounding the main town on several sides are seemingly never-ending date plantations. 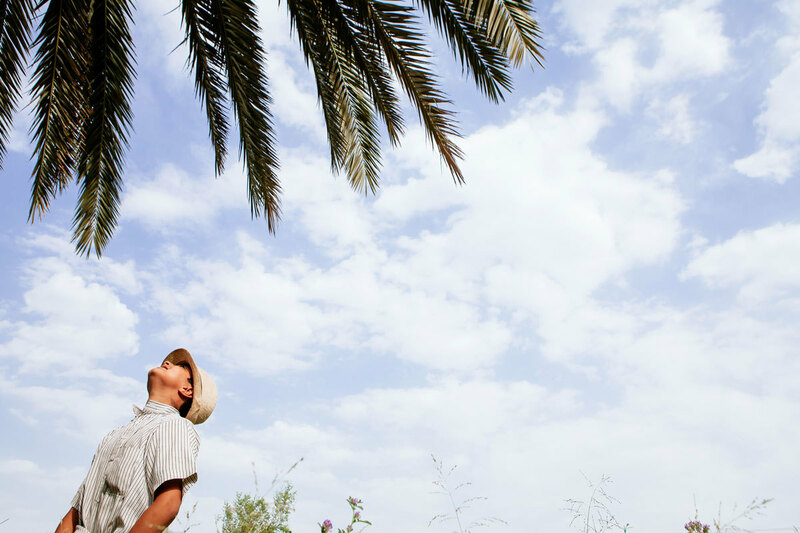 Saudi Arabia has some 25 million date palms – many of them grow right here. Just off one of the roads leading through the plantations is a small palm grove, where several tarpaulins have been laid out on the ground. 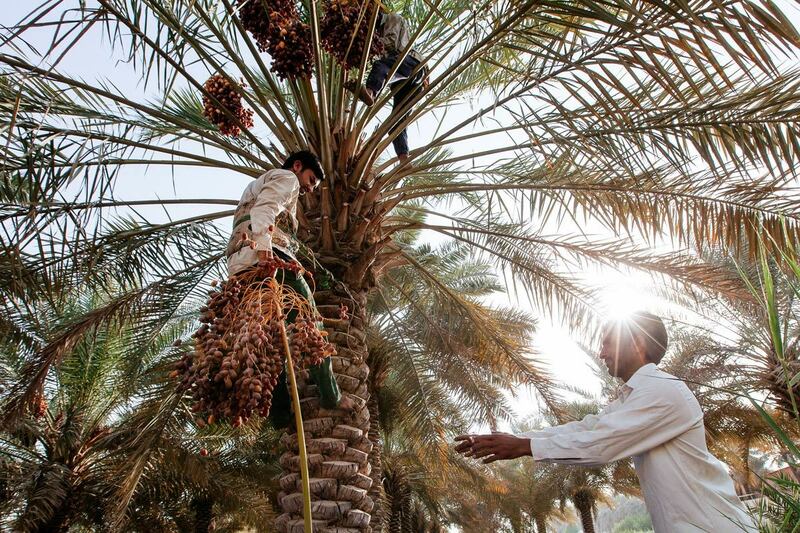 Two men are harvesting dates from one of the trees: one has climbed up to the top, the other collects them from the ground as they fall. 'We are brothers, coming from Kashmir. It’s our first year harvesting dates. We worked the land in India as well – but we harvested apples back there. Kashmir is famous for its apples,’ says Mohammad Rafiq, one of the men. 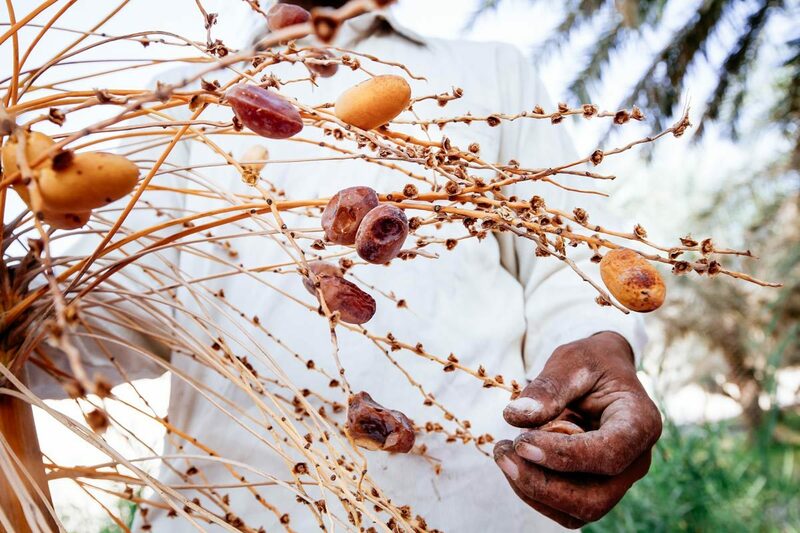 ‘Al Ahsa is famous for its khlas dates, a popular kind in Saudi Arabia. These ones will be sold in markets in the area,’ he says. A group of men, all from Kashmir, sit on the ground nearby. With concentration, they sort the dates into piles: the good ones will be sold in nearby markets, while the damaged ones will be given as fodder to animals. It is still early morning as the men are working. The temperature is pleasant – autumn has arrived, and with it the end of Saudi Arabia’s date season. Harvesting begins in July or August each year, and culminates with an enormous, 45-day, open-air market in Al Qassim. Dates have always played an important role across this region. They were eaten and cultivated already around 5,000 BCE, and were mentioned in the Epic of Gilgamesh, often regarded as the earliest surviving work of great literature. Originating in today’s Iraq, they spread with traders to West Asia, North Africa and other parts of the world. 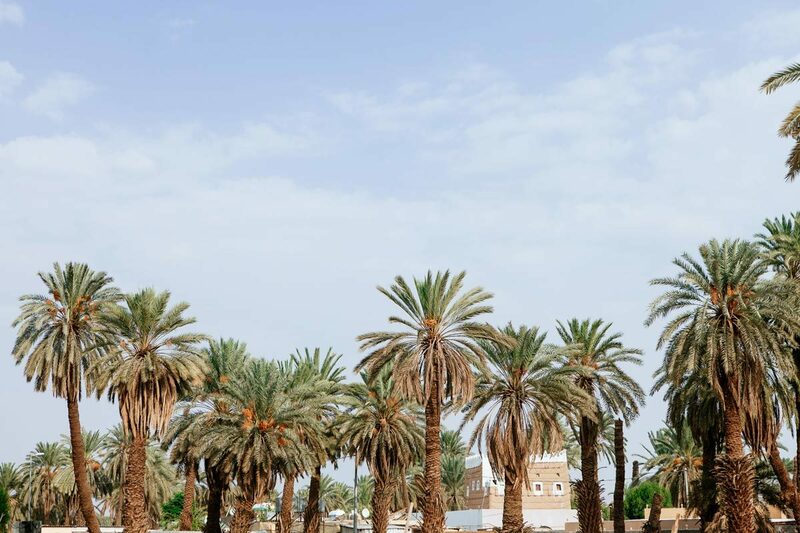 For the palm tree, an evergreen that never loses its thick and sturdy leaves, Saudi Arabia has the perfect climate. The tree thrives in the heat and cannot tolerate rain and humidity. People here have often referred to it as ‘the tree of life’. 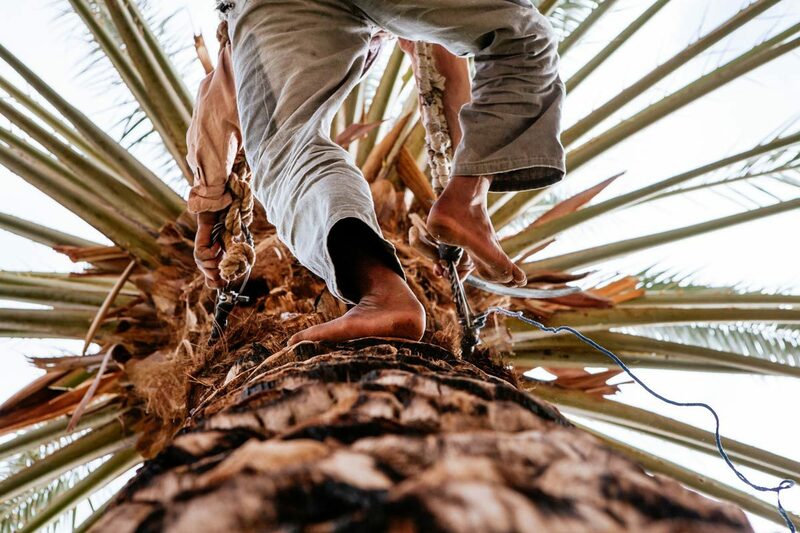 The main risk for the palm is climate change: scarcity of water, salinity and soil erosion all mean bad things for the tree, which may not be as climatically suitable in the future. 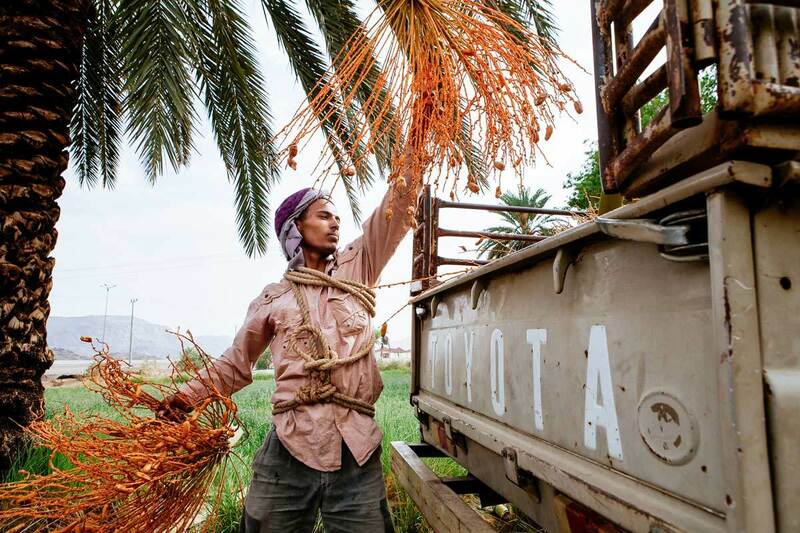 But growers in places like Al Ahsa, Medina and Al Qassim continue to care for their palms. Cultivating dates is a year-long endeavour: ahead of harvest time, you have to maintain the tree. Date strands are thinned out by removing some of the early fruit, to make room for the rest to grow. 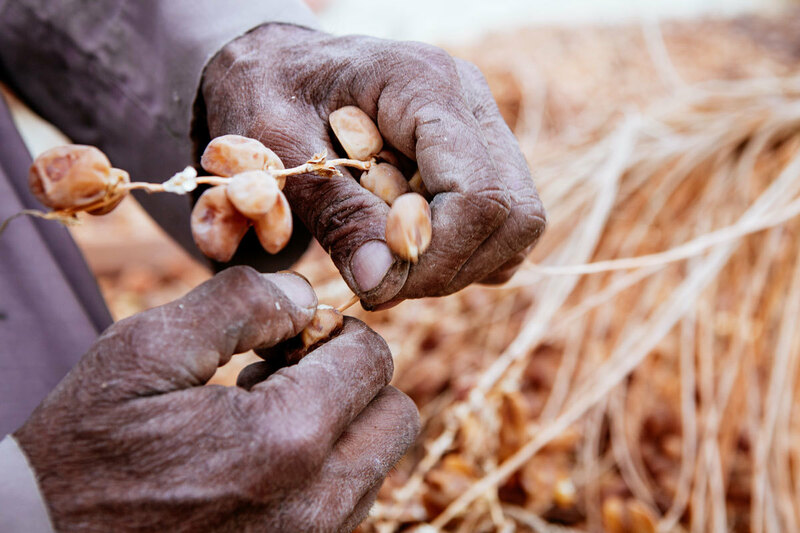 During harvest, the process of collecting the dates is repeated several times, as not all ripen at the same time. In Najran, Abdullah has climbed down from the tree. The top is empty of fruit; all bunches and dates lie on the ground below. The children continue to collect the fruit, and Abdullah joins them, to sort the edible ones from the rest. A Bahraini chest maker keeps one of the Arabian Gulf archipelago’s proudest crafts alive. In the Kuwait home of master craftswomen Um Fayez, the loom takes central place. Saudi Arabia is home to one of the world’s most precious architectural gems, built with coral and hand carved wood. A master craftsman and player, Nazi Ghaban has been making ouds for over 40 years. We visited his workshop to hear him play and learn more. 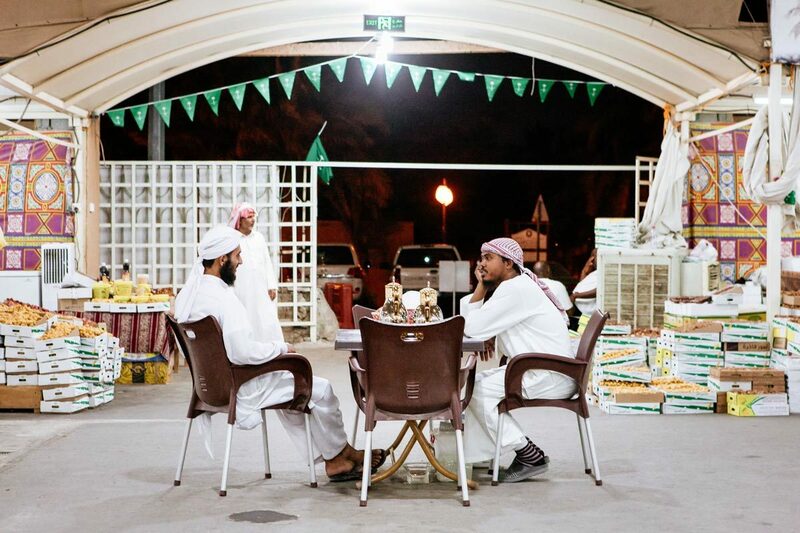 Cut from the same cloth as Bedouin war rituals, Saudi Arabia's ardha remains a dance of king and kin. Worn as proud adornments, janbiya daggers are a rite of passage in Saudi Arabia’s Najran.